My day in the shop didn’t go as I has planned. It’s not that anything went wrong, but I had gotten the order of operations a little out of order. 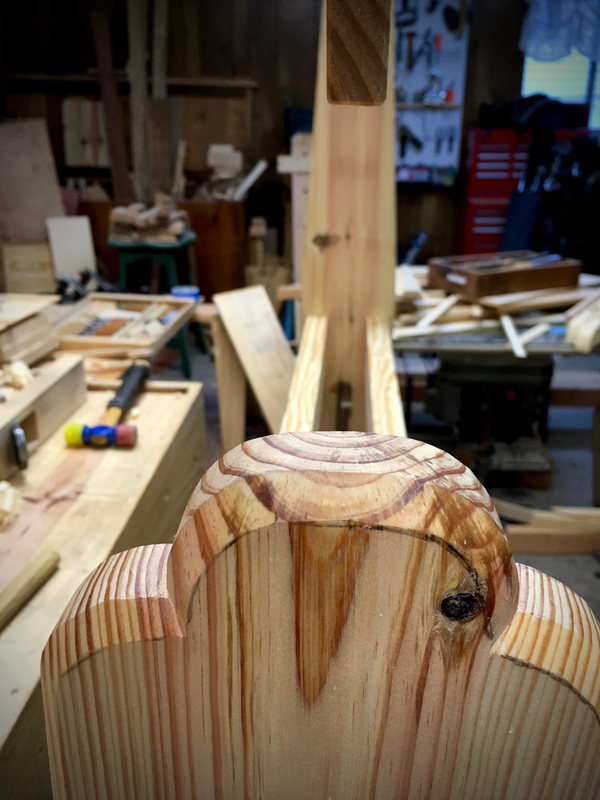 Originally I was going to cleanup the uprights and chop the mortises for the rail wedges. 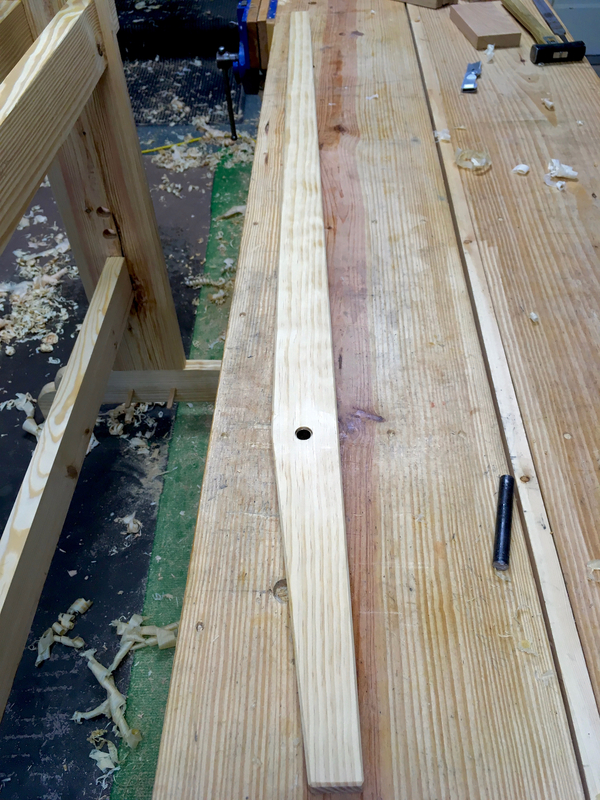 As I was about to plane off all of my layout lines it dawned on me that I had better cut and fit the pivot arm first. 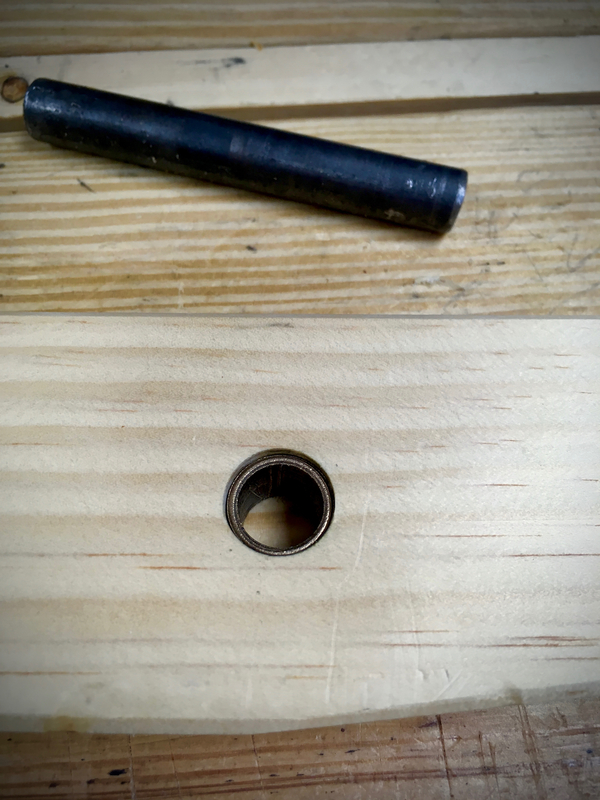 Since I was in metal working mode I thought I would have a go at fashioning a strap that will eventually connect the, yet to be made, spring poles. In his book, “By Wedge and Edge“, Roy says the strap can be fashioned from a copper pipe that is cut in half along its length. Ideally I would have a metal cutting blade for my turning saw, but I don’t. So I was left to use my hacksaw with a fixed blade. 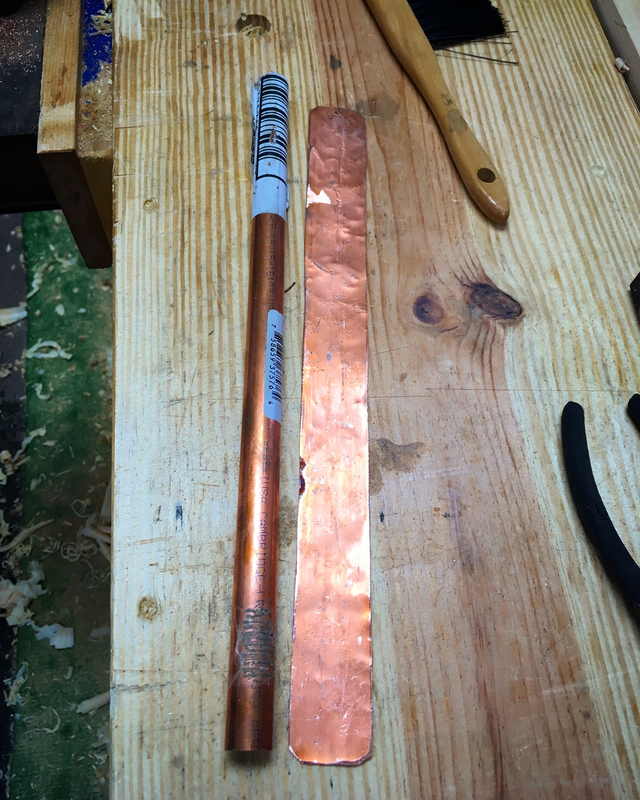 By loosening the blade I was able to twist the blade enough to cut away about a quarter of the 12” long piece of copper pipe. Then I worked the remainder flat. Just like that, I had a copper strap. 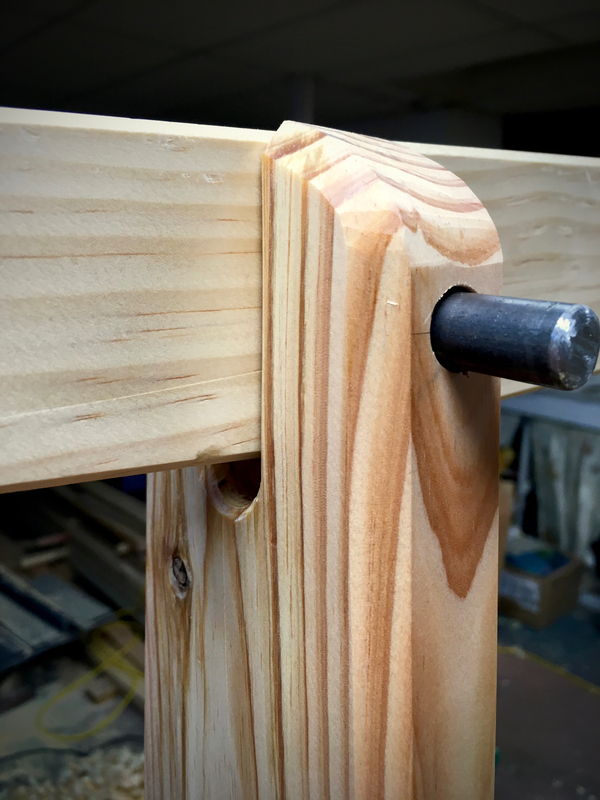 The pivot arm is fashioned from a piece of clear pine that I bought specifically for the purpose. 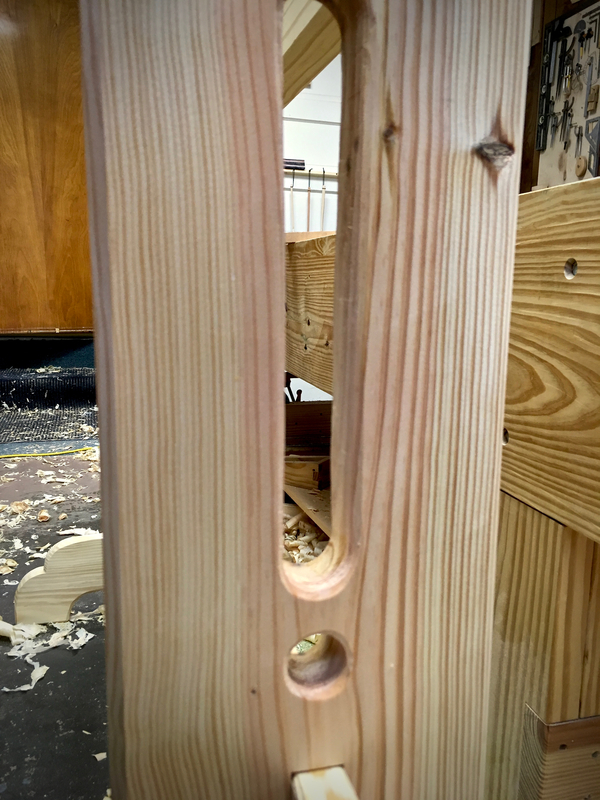 When I went to the big box I culled through the pile until I found a piece that had the grain running in the same direction as the taper of the arm. I was really lucky and found an almost perfect match. 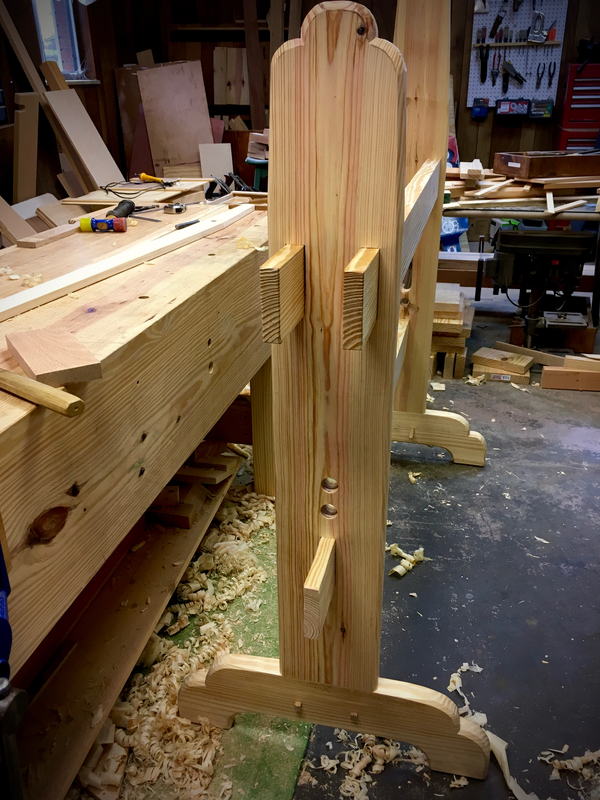 The rest of my day in the shop was spent planing the uprights clean and chamfering every exposed edge. 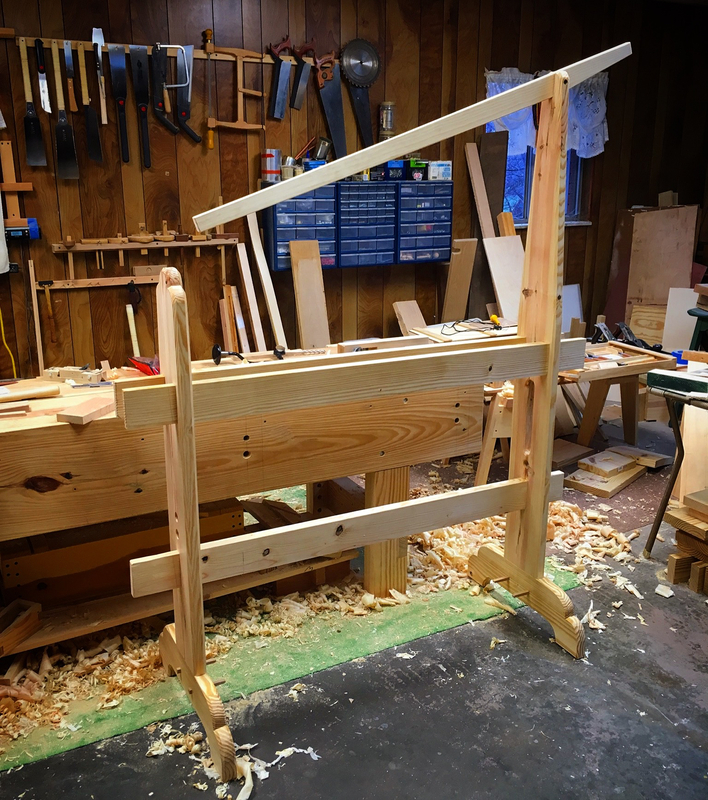 I then reassembled what I have so far and manged to actually mark out for the wedge mortises. The chopping of those will have to wait until tomorrow. 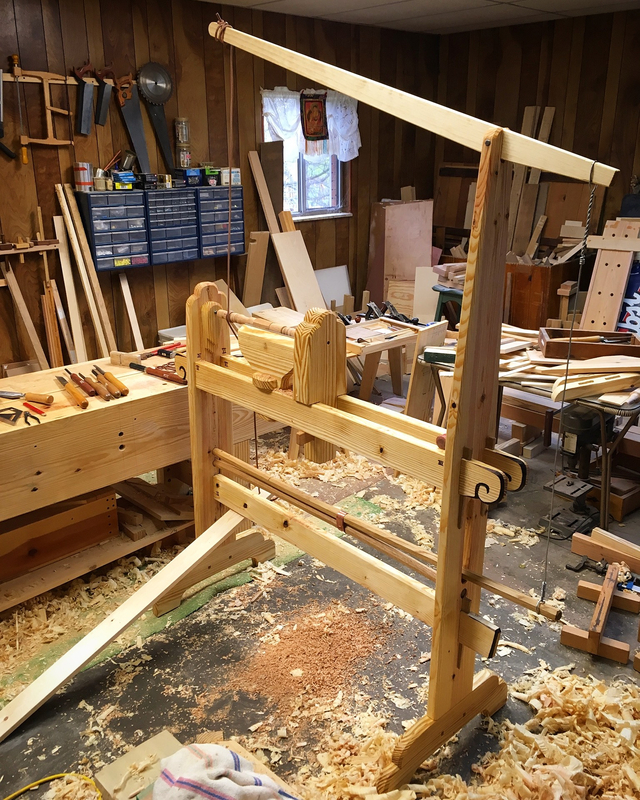 This entry was posted in 5-Tools, Spring Pole Lathe and tagged lathe, Roy Underhill, Spring Pole Lathe. Bookmark the permalink. It’s really looking good Greg! Thanks Bob. It’s starting to come together. Coming along fast! Looking good so far, Greg. Thanks Roy. Not fast really, just steady. Using bearings for the pivot arm axle won’t give less friction? Or am I missing something or being to picky? Technically the bushing is a bearing. It is oil infused bronze. The arm only swings in a 15-20 deg arc. So there is not a lot of movement, but yes, a ball or roller bearing would make the action a little easier. I just don’t think it would make enough difference to justify the expense and effort.